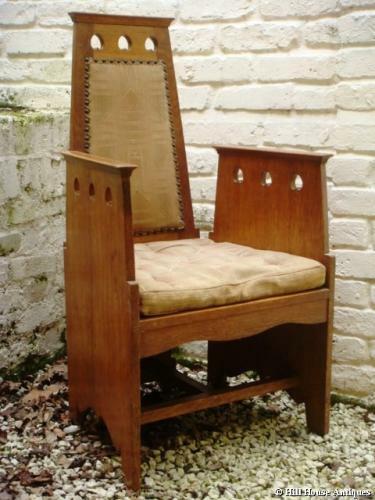 An oak "Quaint" armchair by Wylie & Lochhead of Glasgow (illustrated in their catalogues of the period) with superb heart cut-outs to back and slightly tapering sides. Design attributed to EA Taylor. An unusual & stylish shape and very well made; circa 1901. Original upholstery.